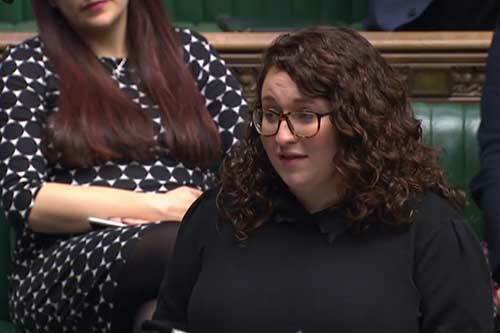 Danielle Rowley MP challenged both the Scottish and UK Governments to make significant changes to their welfare policies, in a debate on the devolution of welfare in Westminster today. Labour MPs said the SNP are often failing to deliver any significant difference with the devolved powers they hold on welfare, and are even sustaining hugely damaging Tory policy where they have the power to overturn it, such as the two-child cap. Labour challenged the SNP to live up to the expectations and opportunities of devolution, rather than either simply replicating the existing punitive welfare system or continuing to delay the devolution of benefits. “We hear the SNP wanting more powers but what’s the point of that if they aren’t going to improve them? “Recent papers published last month show that the Scottish Government’s plan is to replicate much of the existing, Tory designed, benefits system. “For example, Severe Disablement Allowance will be devolved in name only, with the delivery outsourced to the DWP, which to me is just mindboggling. “Labour has been leading the way in fighting to improve social security for the people of Scotland. Scottish Labour pushed the Scottish Government to accept automatic split payments of Universal Credit, something that the SNP now take the credit for.